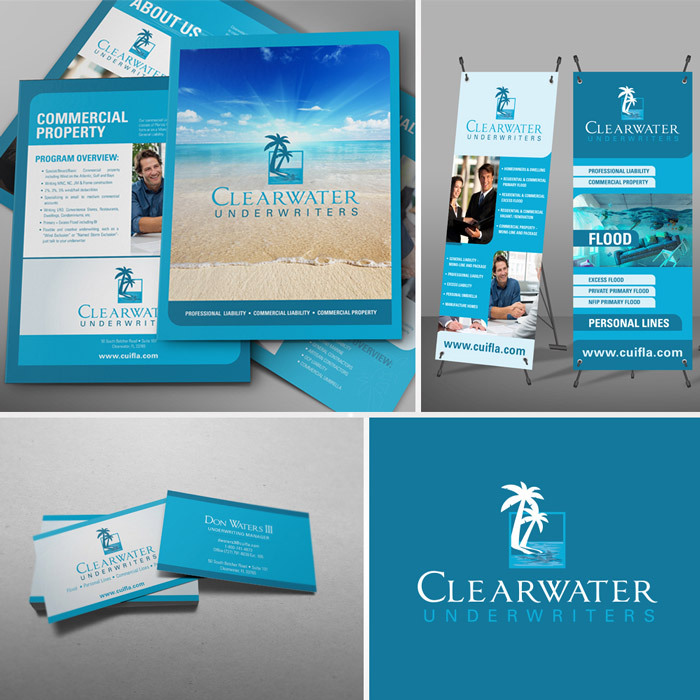 Clearwater Underwriters, Inc. was established to create an available market for retail agents, assisting them in the placement of Excess Flood coverage in the state of Florida. They have emerged as a competitive, trustworthy corporation with a diverse product line including both Personal and Commercial Lines. They reached out to Shake to help brand their company by using modern, simple, and eye-catching design. Using imagery to represent both Florida and water, our team create a straightforward and timeless logo. Spreading across all platforms the brand stays uniform with a blue color scheme.